[Landis comment] Jay Solomon et. al,'s article (copied below) is excellent. My only nit to pick with it is the choice of ending with Walid Jumblatt's quote, "Where was America when Hezbollah took over in May?" The implication is that America should have done something. Solomon lets this criticism hang in the air – as if Jumblatt is correct and the US really should have sent troops to Lebanon to fight Hizbullah. I am sure Solomon does not believe that America's military footprint in the region is too small, but the WSJ is a conservative, Bush supporting newspaper. To criticize the Bush administration – even by pointing out that its ally, Jumblatt, was being completely unrealistic would be to ask too much. The real criticism to be made of Washington is not that it has used too little military force or that it has drawn too few lines in the sand. On the contrary, Washington should never have led Jumblatt and Hariri down the garden path to believe that they could rely on US troops to defeat Hizbullah and Lebanon's other opposition parties. The US should have let Hariri, Jumblatt, and Siniora know early on that it could not defeat Hizbullah or overturn the Syrian regime on their behalf. Pumping them up in the false belief that the US would ride in with the cavalry was irresponsible and stupid. The March 14th forces were going to have to compromise sooner or later. Washington should not have been so naive as to think that brow beating, chest thumping, and moralizing by President Bush would magically make the most powerful forces in Lebanon cower in fear and disarm – especially not a militia like Hizbullah, which drove Israel out of Lebanon after 20 years of sacrifice and struggle and which stood up to Israel's full power in 2006 for over a month. If anything, Solomon should have praised Hizbullah for its patience and sober restraint – normally an Israeli characteristic – for waiting 16 long months before pulling the plug on the March 14 forces. Instead, Solomon writes that "for nearly 16 months, Mr. Siniora's supporters refused to cave into demands by Hezbollah." Such praise only shows how far Washington has strayed from realism. As Bashar al-Asad said after the Doha agreement was signed, "The March 14 coalition could have signed the same agreement a year ago" and well they could have, without loss of life or the terrible economic price of letting the economy stagnate for 12 extra months. Instead, Siniora, Hariri, Geagea, Jumblatt and their American backers clung to a losing hand and refused to recognize the reality that was so clear once Israel had failed in 2006 to put a real dent into Hizbullah's power and supremacy in Lebanon. Hariri kept on repeating that Hizbullah and Lebanon's Christians led by Aoun intended to carry out a coup, but of course they did not. Quite the opposite, they wanted a compromise. The reason they were so patient with the obstinate March 14 movement and the US was precisely because they did not want a coup. They did not want to use force to assert themselves. That is why they waited on Hariri and allies for so long. They waited until the Lebanese public were so fed up with political paralysis that they welcomed Hizbullah's move and the Doha agreement. They waited until Jumblatt made his fateful mistake and convinced Siniora to move against Hizbullah's security network, then in less than 12 hours Hizbullah and the Lebanese opposition pulled the plug on the March 14th government. They did not "take power" or carry out a "coup;" instead, they allowed Siniora to form a new government, giving the opposition the blocking third that they had insisted on for the better part of a year. I am surprised that hard bitten Wall Street types who usually praise politicians and businessmen for knowing when to compromise are now siding with Jeronimo, or in Lebanon's case, Jumblatt. 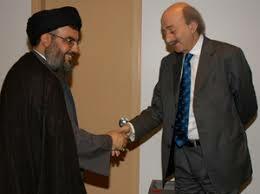 Does anyone really think that the US should have sent troops to Lebanon to keep Jumblatt from having to compromise with Nasrallah and Aoun? A handful of Middle East nations and groups are pursuing talks that are dramatically shifting the region's balance of power in ways that could undercut U.S. interests. The various diplomatic efforts come as the Bush administration moderates its policy of isolating the governments of Iran, Syria and their regional allies. The State Department's point man on the Middle East is scheduled to meet this week with a delegation of Syrian academics and lawyers that includes the top legal adviser to the Syrian government team involved in indirect talks with Israel, according to Syrian officials. And over the weekend, the State Department's third-ranking official met with European diplomats and Iranian officials as part of talks to restart negotiations over Tehran's nuclear program. The weekend contact — the highest-level exchange between the two sides in years — ended inconclusively Saturday. Tehran refused to commit to halting its uranium-enrichment program in exchange for a set of economic incentives it was offered. European Union foreign-policy chief Javier Solana said negotiators gave Tehran another two weeks to respond more concretely. Still, the presence in Geneva of William Burns, the U.S. under-secretary of state for political affairs, marked a significant course change in Washington's dealings with Iran. It comes as regional players — both friends and foes of Washington — begin to work together to solve their own problems and those of their neighbors. The talks have supplanted what was once a key role for Washington: regional power broker. As President George W. Bush's term in office approaches its end, his administration's diplomatic heft has predictably diminished. Washington's missteps in Iraq and Afghanistan have also sapped the region's confidence in the administration's vision. "In many ways, the countries in the region are looking past the Bush administration and seeking their own answers to the region's problems" said Imad Moustapha, Damascus's ambassador to the U.S., in an interview. A collection of peacemakers, some unlikely, has stepped into the breach. In May, Qatar successfully pushed a peace deal in Lebanon that saw Iranian-backed Hezbollah gain extensive new political powers at the expense of Beirut's Western-backed government. Last month, Egypt brokered a military truce between Israel and the Palestinian faction Hamas, an Iranian ally that last year violently overran the Gaza Strip. Turkey is mediating indirect peace talks between Israel and Syria. Even impoverished Yemen is getting in on the act, pushing for reconciliation between Hamas and rival faction Fatah. Through the negotiations, say diplomats and analysts, Israel and Arab governments are positioning themselves for a shift in American foreign policy, no matter who wins November elections. Hammering that home, Sen. Barak Obama, the Democratic presidential nominee, is touring the Middle East this week. He has advocated stepped-up engagement with Iran and Syria. "The U.S. administration is a lame duck, and regional players are working to serve their own interests," says Diaa Rashwan, a Cairo-based political analyst. The State Department has denied that U.S. influence in the region is waning and said it welcomes the region's recent diplomatic efforts. Israel, in particular, has seized the initiative from Washington. In recent weeks, Prime Minister Ehud Olmert has moved to cut deals aimed at easing every national-security threat along Israel's borders, though Mr. Olmert may be too politically weak at home to see any of the deals through. But his efforts come after Israel's once-unquestionable regional military superiority has been severely tested. In 2006, Hezbollah fighters bogged down a larger and more advanced Israeli army during a month-long battle in Lebanon. And Israeli military incursions into the Hamas-held Gaza Strip failed to dislodge rocket-firing militants. In May, Israel said it was indirectly negotiating a peace deal with Syria, which, along with Iran, is a key supporter of both Hezbollah and Hamas. Last month, Israel agreed to a cease-fire with Hamas. At the same time, Israel has sent much stronger signals than the U.S. about possible military intervention against Tehran. Last month, U.S. officials said Israel had conducted military exercises that appeared to be training for a possible attack against Iran. U.S. officials are preparing a package of economic sanctions they hope they can push through the United Nations if Tehran fails to take up new talks on halting its nuclear program. Perhaps no Middle East country has been the beneficiary of the region's diplomatic moves more than Syria. In March, U.S. allies Saudi Arabia and Egypt snubbed the country by refusing to send high-level representation to an Arab League summit in Damascus. The U.S. Treasury in February initiated a string of unilateral sanctions against some of Syrian President Bashar Assad's closest political and business allies. The U.S. and France, meanwhile, were closely working to limit Syria's political influence inside Lebanon. Today, Syria has largely emerged from its diplomatic isolation. Mr. Assad was welcomed in Paris this month by President Nicolas Sarkozy. The two leaders talked about enhancing economic and strategic ties. Damascus and Jerusalem are set to enter a second-round of Turkey-brokered talks to resolve their dispute over the Golan Heights this month. And many world leaders praised Syria's role in promoting a political pact for Lebanon in May. Amid that backdrop, the State Department's point man on the Middle East, Assistant Secretary of State David Welch, is set to meet top Syrian academics and attorneys this week, according to Syrian officials. Mr. Welch's planned session is raising hopes Washington may more aggressively support the Damascus-Jerusalem peace track. The State Department didn't comment on the meetings. Mr. Moustapha, Syria's ambassador, said the Bush administration's willingness to meet the Syrian delegation is a step in the right direction. If Syria has gained the most from Washington's diplomatic absence, the West-backed government of Lebanese President Fuad Siniora appears to have lost out more than others. In 2006, Israel launched a war in Lebanon, largely in response to the capture by Hezbollah of two Israeli army reservists in a cross-border raid. The fighting ended inconclusively after 34 days, but Hezbollah's reputation for resistance against Israel soared. The Shiite political group — designated a terrorist organization by the U.S. — led a boycott of Mr. Siniora's coalition government. For nearly 16 months, Mr. Siniora's supporters refused to cave into demands by Hezbollah for major concessions in a new government. When Mr. Siniora tried to crack down on the group in May the group took to the streets. Qatar's emir stepped in. He pushed both sides to accept a deal that reinstalled Mr. Siniora as prime minister but also gave the Hezbollah-led opposition veto power. "Where was America when Hezbollah took over in May?" complained Walid Jumblatt, the leader of the Lebanese Druze sect and an ally of the U.S.
–Mariam Fam in San'a, Yemen, and Margaret Coker in Abu Dhabi contributed to this article. Where was America when HA took over in may? It was caught in the quagmires of Iraq and Afghanistan. Surely, Mr. Jumblatt was not relying on that ship across the waters of his country. Sadly for U.S. foreign policy (what policy many may say), this episode has convinced many people in the region again (if a reminder was needed) that it is not smart strategy to place all (or even any) of your eggs in the American basket. 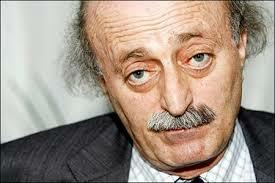 The question posed by Jumblatt is deeper than seems at first sight. What did he want/expect from the Americans? Surely, it could not be economic sanction on HA. I am sure that he was not asking for more UN resolutions either. To me, it sounded like he was asking for the marines. Both the WSJ and Mr. Jumblatt did not expand on the statement and instead chose to leave it to our imagination. You are of course wrong. Israel placed all its bets on the American basket and the rewards were spectacular. The Arabs bet on the soviets and the results are before our eyes. It took 30 years to understand that the Americans are the only ones you should ally with. In the same way, the results of counting on Syria or Iran and not the US will pay their huge negative dividends in the future. American help is not appropriate for everyone and you have to understand how it works. Jumballat and most Lebanese just do not have a clue. The Americans (like God), help those that help themselves. The Americans did not fight for the Mujaheedin in Afghanistan, but they provided them the weapons to beat the Russians. The Americans never fought for Israel, but gave it support and backing that Israel used wisely. The problem with M14 and most Lebanese is that they are just not willing to fight and are also not ruthelss. They are therefore quite helpless against Hizballah and Syria. The lack of success of M14 is not because America is a bad ally. It is because M14 are just spineless. Most Lebanese seem to believe that Americans or Israelis should die for them or fight for them. That is ridiculous. The Lebanese that do not believe this tend to believe that Hizballah will become a “tame” political party without any violence. Yeah, right. I respectfully disagree with certain aspects of your analysis. You are using hindsight to judge the actions of various groups, without taking into consideration the context of the times. What you portray as the smug arrogance and short-sightedness of the US-backed March 14 forces makes it seem as though they were being unreasonably obstinate and inflexible, in a political vacuum. Let’s remember that between the emergence of the March 14 majority government in May 2005 and the Hizbullah walkout in November 2006, there were no less than six assassination attempts (four successful) on pro-March 14 figures. Between the walkout and the Doha Accord, there were five more assassinations, several strikes, and a war at Nahr al-Bared. 1) Stay alive and political viable. 2) Keep the tribunal alive. 3) Deny Syria’s allies as much political capital as possible. Solomon should have praised Hizbullah for its patience and sober restraint – normally an Israeli characteristic – for waiting 16 long months before pulling the plug on the March 14 forces. Even if Bashar al-Assad said that “The March 14 coalition could have signed the same agreement a year ago,” who in their right mind would have done so at that time? When Hizbullah walked out of the cabinet, March 14 was in charge of an embattled government that was hemorrhaging its MPs at the rate of one every few months. It had just suffered a catastrophic bludgeoning to its infrastructure at the hands of Israel, and was facing the most dangerous polarism in Lebanon’s population since the Civil War. Based on prior experience and recent history, it looked like (and perhaps more than just “looked like”) Syria was trying to create a state of chaos so as to regain some semblance of control again. Acquiescing to the opposition’s demands under those circumstances must have seemed like political suicide for March 14, the cancellation of all political gains achieved since Syria’s departure, and the eventual return of Syrian hegemony. I could not agree more with you that March 14th has — to quote Gary Gambill — made “lemons out of lemonade”, but to lay all of the blame on them is, in my view, unreasonable. What do you think Jumblatt meant when he asked for American help by wondering what they had done during the HA taking over of Beirut? BEIRUT: Maronite Patriarch Nasrallah Butros Sfeir said on Monday the majority of Lebanese emigrants to Australia – who number nearly 80,000 – have not forgotten Lebanon, but are disturbed by the rifts among the Lebanese. “The Lebanese living in Australia are eager to see their fellow citizens abide by their country’s regime, respect its laws and show commitment to justice,” Sfeir said in a news conference held in Sydney at the end of his visit to Australia. “I also reiterate my thankfulness to all those who have received me in every Australian city,” he added. The patriarch expressed his admiration of the country’s political and social life. “All citizens abide by official direction without complaining,” he added. According to Sfeir, most of the [Lebanese] people in Australia are satisfied with their situation, work hard and accomplish their duties toward the state and the Church. I think he was just bitter and frustrated. He didn’t imagine that the Hizb would have done what they did; he thought that they were bluffing. He was wrong. Do you agree with Josh’s analysis? If yes, why? if not why? I alike with Qn have a few problems with it, il just extrapolate a few more points first to give you an idea. 1. Sustained chaos (instability) theory: The circumstances I feel did not allow a resolution. M14 were “used” to ratchet up pressure on the Syrian regime and Lebanese opposition. The US/ Moderate Arabs were also instrumental in this. While we are not privy to what was promised to M14, clearly their leaders showed immense immaturity and a sever lack of pragmatism. Hence we ask what is behind Jumblatts statement? (dislike him as much as you can but the man is a survivor, and he visited the US a few times during the standoff). 2. What was promised? My personal opinion that M14 got a little carried away with what they were hearing, and with the USS Cole and a few support ships parked of Lebanon’s coast they felt the cavalry was just over the horizon. You might disagree with this, but I feel that this played a very very big part in Hezbollah’s actions. Lets see, 5-6 M14 figures , a few Army commanders loyal to M14. And the retaliation is the legendary Mughniya, you might think this is speculation, but there might have been collusion to just let the Syrians and the Hezb know along with possible collusion with Arab and Israeli security services that the US/Moderate Arabs were going to hit back. I think that this eventually forced Syria and its Allies to hit back and force the situation in Beirut! And this caught M14 completely by surprise. I agree with QN that the blame sits with both sides, and lets be frank you will not get a Wall Street Journalist to praise Hezbollah for its restraint. When I witness this in the American print media, Il walk down New York for a full day in my birthday suit. on another note am I seeing a similarity or is Walid Moallem, Ariel Sharons long lost brother? I think my views are clear on this topic. When I say “M14” .. I mean their leaders, not the supporters. I understand when Rafiq Hariri, Jumblatt, Murr and others decided to jump off the Syrian ship in 2004. But my problem with them is that they did not recalculate their positions in 2006 … it was obvious since then that it is over for them … and it was even obvious (in my opinion) that it was over for their powerful sponsors (allies) in the Middle East. Instead … they joined The Cheneys, Al-Saud, Hosny Mubarak, Jacques Chirac, Prince Bandar .. and other stubborn “leaders” in their reluctance to admit their mistakes and to change course. 2006 to 2008 … a long time to admit one’s mistake. For those of you who argued against my blaming it on personality flaws and explained that it was all about national interests, … look at what happened to France when Sarkozy replaced Chirac. With the recent celebrations over the release of prisoners and handing over the bodies belonging to Hezbollah and other Lebanese and non-Lebanese factions, no doubts are left about the centrality of Hezbollah’s size on the Lebanese scene, not only in the military sense which is evident to all except to those who wish to stay blind, but also in its ability to exploit its military prowess on the public level such that it could even unilaterally impose negotiations with major representatives and entities of the international community, such as the UN Secretary General and the Red Cross. All this while the state sits to watch and limits its role to accepting the invitation to greet and embrace the liberated prisoners arriving at the airport. This unusual situation in the framework of relations between parties and states imposes future burdens on Hezbollah and the Lebanese state that need to be candidly addressed. To start with, urging the party to engage in public politics on an equal footing with other Lebanese parties and to give up the position that it now occupies domestically, regionally and sometimes internationally is not a realistic demand. The party has no intention to respond to such a demand, and no one in the state is capable of making such a demand in the first place. The “burden” borne by the party as a result of the resistance – as Sayyed Hassan Nasrallah liked to put it in his last speech – has become a project that aims at mobilizing all the Lebanese by encouraging them to participate in it. Hence, rather than responding to the demand by the state and other Lebanese that the party returns to a “normal size” on an equal footing with others, Hezbollah is encouraging others to join its project such that its program becomes that of all Lebanese, hence the program of the state with all its institutions. Consequently, Hezbollah will logically become the “ruling party” in terms of goals and strategy rather than one of the ruling parties within the framework of a national unity government as the case is now. In fact, even within the current framework, the party possesses the political capability and the number of votes inside the government that enable it to steer decision making in the direction it desires, especially after successfully imposing its own conditions on the formation of this government. Accordingly, the state has two choices: toleration or confrontation. The confrontation results and outcomes are already known; Premier Fouad Siniora’s former government has tried this treatment last May, pushing the country to the verge of civil war. At this, the state had to retreat while the party stood its grounds. The second option, toleration, implies finding a coexistence formula that maintains the party’s project and its control over this project’s areas of expansion in terms of arms, society, and politics. In return, Hezbollah acquiesces to recognizing the right of other parties to discuss, debate and even oppose, as long as this does not lead to a political decision that impedes or obstructs the party’s project. For example, this is how Hezbollah understands the debate over the defensive strategy: give us a strategy for defense that resembles ours or replaces it, or join the resistance projects that we lead. In either case, discussing the goal sought by the party through this strategy is absolutely prohibited. Hezbollah has long crossed the stage in which it would accept middle grounds in its relationship and dealings with the Lebanese state. It is now in the interest of all sides to reorganize their cards accordingly and choose between an extremely costly confrontation and the coexistence that leaves the state some freedom of decision. I would have to generally disagree with you and generally agree with Landis on this question (with some specific differences with each analysis, especially the Mugniyah assassination). A few weeks ago I asked you whether you believed that Hizbullah had pre-planed their military action in coordination with a diplomatic offensive to push through a political accommodation, and you argued that you did not believe it likely that it was strategically intended as a comprehensive plan. But considering the way things have turned out, I can’t but believe that Hizbullah intended the military action as a catalyst for the diplomatic settlement that they eventually achieved. There are many reasons to think that everything turned out according to a premeditated Hizbullah plan, including the cooperation of the Lebanese military, the speed with which Hizbullah withdrew its forces (had they considered it a military take over, they would have done so. By withdrawing they showed that they considered it a diplomatic move), the immediate work of the diplomatic forces (including Qatar), the total lack of compromise they showed in negotiations, among other things. Of course, I think the timing was clearly forced upon Hizbullah (in an absolute sense) by Jumblatt’s moves, but Hizbullah’s actions do seem so well coordinated and so successful that it is hard to see it as having been an impromptu ad lib. Had it not been planned to happen as it did, I imagine that there would have been loose ends and greater political loses for Hizbullah, but there is no signs of that. The reason it is important that the action was generally premeditated is that it emphasizes their capability to do such a move at the time of their choosing. In the 16 months until the Qatar agreement, there were numerous opportunities for Hizbullah to break the backs of M14, but they choose restraint. My guess is that they did so because they knew the potential threat to their popularity (and the lives) that such a maneuver could entail. It is also possible that the Mugniyah assassination was too much for Hizbullah, but I don’t tend to see them as so event driven as to exact revenge of that sort. I think that much of what you said about M14 is probably correct, but I doubt it played much of a role in Hizbullah’s calculations and I don’t know how it relates to what was written by Landis. Especially considering that Hizbullah clearly lost all their goodwill towards the government following the the Israeli war and the government’s support for the corresponding Security Council Resolutions. Too, I don’t believe that what you wrote negates the statement of President Assad, that “The March 14 coalition could have signed the same agreement a year ago.” The only way I can reconcile your view with my understanding of the events at the time is that M14 must be a foreign asset and not making decisions based on domestic needs. Especially, if you remember, Hizbullah was widely seen as victorious in the war, and it would not have been too politically difficult for the government to reward them for the concessions that Siniora forced on them during the war. The alternative interpretation of the events may be that Hizbullah is simply so much more powerful that the other forces in Lebanon that the situation was destined to turn out in their favor once some level of balance was achieved. And that is why Jumblatt and M14 were so willing to rely on the USA for their domestic positions, but that would imply an extreme level of immaturity and lack of foresight on the part of M14. That may be the case, but I am a little hesitant to accuse them of such epic stupidity. Lastly, I will say that a family friend of mine was a member of the previous cabinet and I have talked to his daughter in depth about these issues. She tells me that the cabinet was dominated by a siege mentality (as you implied). But she never emphasized to me that fear of Syria was at the heart of it. That might have been the case for the Lebanese Forces and Jumblatt’s team, but I do not feel that the Future people or the “independents” were quite so obsessed. (though, I also got the impression of a divergence between the view of Syria in general and the Hariri trail specifically). I, like QN above, disagree with Dr. Landis’s assessment. 1) Junblatt and M14 clearly overplayed their hand in early May when they called for a dismissal of the head of airport security and the dismantling of The Party of God’s telecommuncations network. My read is that M14 did not expect a swift and violent response from the Hizb, or in other words, it was a misstep. M14 thought they could push a little harder and show some resolve. They were clearly under the impression that the Hizb turning the weapons inward on fellow Lebanese was an unlikely response. Clearly a bad bluff. Junblatt was not under the impression that the US would provide miltary support, he just didn’t seriously consider the possibility of the Opposition invading West Beirut and then the Mountains. 2) Junblatt and M14 didn’t compromise because compromise threatened/threatens to undermine the gains of the “Cedar Revolution” and, probably more importantly, their personal power in Lebanon. Still, to cede power to a Hizbollah “state within the state” undermines necessarily undermines the Lebanese state itself. Of course Syria is happy to help facilitate the Doha Agreement after its allies flex their muscles in Beirut and show, in Weberian fashion, who has monopoly over the use of force in Lebanon. When Hizbollah invades West Beirut or SSNP thugs light up Tripoli and the army sits on its hands, it becomes clear that the Lebanese state, and thereby the governing coalition, cannot guarantee the security for Lebanese citizens. This strengthens Syria’s hand and shows clearly that the Syrian military need not be deployed in Lebanon for its allies to remain in de facto control. I think to characterize the crisis of the past 18 months as an act of magnanimity on the part of Hizbollah is to not give Syria and the Oppostion credit for shrewdly playing their hand. While my personal sympathies are with the M14 Coalition, at this point Junblatt & Company certainly need to regroup and come with some new tricks for the 2009 elections. The United States said Monday it was ready to hold rare talks with two visiting key Syrian officials this week, in another signal of Washington’s recent policy shift to engage directly with its enemies. Syria is on a US blacklist of state sponsors of terrorism. Riad Daoudi, Syrian lead negotiator with Israeli officials in Turkey and legal adviser to the Syrian foreign ministry, and Ahmad Samir al-Taki, a consultant to the Syrian prime minister, are in Washington on a private trip. Part of a four-member group from Damascus, they will participate at a forum “Engaging Syria: new negotiations, old challenges” at Washington-based Brookings Institution on Wednesday. Their visit is sponsored by Search for Common Ground, an international non-governmental organization, headquartered in Washington and Brussels, which had sought a meeting for them with the State Department. “It is customary for us to receive such visitors and Near Eastern Assistant Secretary of State David Welch is prepared to meet with them,” Stat Department spokesman Gonzalo Gallegos told reporters. Still, the proposed meeting comes in the wake of a tactical shift in the Bush administration’s Middle East dealings following the participation of the State Department’s number three official, William Burns, in talks in Geneva last week over Iran’s nuclear program. Secretary of State Condoleezza Rice will come face to face this week with North Korea’s foreign minister — their first encounter — as part of informal ministerial talks among six nations involved in ending Pyongyang’s nuclear weapons drive. Gallegos said the precise date for the talks with the Syrian officials had not been determined yet. Welch in his talks would explain “our policies and positions and hoping that all participants in that meeting will return home with a clear understanding of why the US government has its policies,” a State Department official said, speaking on condition of anonymity. The State Department last week welcomed a decision by Lebanon and Syria to open diplomatic relations announced during a landmark visit by Syrian President Bashar al-Assad to France. Syria withdrew its troops from Lebanon in 2005 in the aftermath of the assassination of former Lebanese premier Rafiq Hariri, ending a military presence of nearly three decades. Syria was widely blamed for the killing but denies involvement. “Unless and until Syria and the United States reach a grand bargain, the Lebanese will continue to pay the price,” Theodore Kattouf, a former US ambassador to Syria, said in a recent report. He charged that Iran and Syria were in an alliance to thwart US and Israeli objectives in the region. Key US ally Israel has been holding indirect negotiations with Syria, sponsored by Turkey after an eight-year freeze. “It is important that a new US administration work with Israel and our Arab allies to concoct a strategy that can pry Syria away from Iran,” said Kattouf, a member of the board of Search for Common Ground. Washington will continue to limit its diplomatic engagement “unless Syria takes concrete actions to end its destabilizing tactics in the region,” the State Department said after Assad’s landmark trip to France. I don’t recall the exchange; could you provide a link? As for your comment, I am also not quite sure how it relates to my own response to Joshua. His point, as I understood it, was that March 14th overreached. They were trying to ride the tidal wave of worldwide support following Hariri’s assassination, even when the wave hit deep water and started to wash out. Therefore, all of what followed (the governmental stalemate, the lost lives, economic stagnation, etc.) should be blamed on their own ineptitude and that of their sponsors. My argument is that this reading ignores the circumstances that obtained from 2005-08 (wars, assassinations, strikes, etc. ), and the possible involvement of Syria in promoting instablity in Lebanon during this period. It also pats Hizbullah on the back for being bigger and tougher but not acting like a bully and showing restraint… until they decided to “pull the plug”. I just don’t buy it. This kind of logic is extremely slippery. The “deal” that could have been reached a year earlier was not one that a majority government was obliged to take. It was, let’s face it, forced upon them. I don’t want to re-open this can of worms, because we’ve discussed it a million times. But I just think that making Hizbullah and Syria out to be lily white in all of this is, as I said, unreasonable. On the morning of September 6, 2007, Israel Air Force (IAF) planes penetrated deep into Syrian airspace and attacked a nuclear facility near the town of Dayr al-Zur in the northeastern part of the country. In an almost unprecedented fashion, the Israeli government and military refused to confirm the involvement of Israeli aircraft, the target, or the raid’s success, with the first report of the operation coming from Damascus. The lack of disclosure from Israel has been in inverse proportion to the raid’s importance, which effectively called Bashar al-Assad’s bluff. Since the 2006 Israel-Hezbollah war in Lebanon, Assad had created a sense of fear that threatened to limit the Israeli military’s options regarding Syria. After a decades-long status quo between Damascus and Jerusalem, Israeli leaders found themselves on the defensive. The strike on this suspect nuclear facility restored the status quo ante, and by doing so, Israeli leaders revealed Bashar’s strategic weakness. While diplomats praised Bashar’s restraint and maturity, his inaction undercut the image he sought to project. Despite his bellicose rhetoric, Assad feared a confrontation with Israel and was not prepared to pay the price of a conflict. Nevertheless, Damascus’s covert flirtation with nuclear technology suggests Assad has not moved beyond rashness and that his judgement remains poor. Assad’s strident declarations raised questions about what operative conclusions he had drawn. His statements suggested that he believed that the “Israeli demon” was not so terrible. Hezbollah’s missiles deterred Israel for years and, even when Israel did engage Hezbollah, they forced Israel to curtail the conflict without achieving Jerusalem’s declared goals. Assad might conclude that Syrian missiles, more advanced than Hezbollah’s arsenal, could achieve the same effect should the Syrian regime sponsor a Hezbollah-like campaign on the Golan Heights. Syrian officials speaking to Western diplomats in Damascus even hinted that the possibility of all-out warfare might not restrain Bashar any longer. While Hezbollah rained rockets on Haifa, Damascus possessed an arsenal including Scud-C and Scud-D missiles with respective ranges of 250 and 375 miles, capable of striking the entirety of Israel. Assad’s threats, even if coupled with declarations of readiness to resume peace negotiations, received broad public exposure in the Syrian media. Senior Syrian officials amplified them in subsequent interviews, and columnists and political commentators repeated them in state newspapers, on the radio, and on television. An August 16, 2006 editorial in the state-run Ath-Thawra daily declared that “just as Hezbollah fought against Israel, so will the Syrian people fight on the Hermon and at Mas’ada and Majdal Shams.” On September 4, 2006, Radio Damascus broadcast a political commentary in which it was declared that “the resistance option is available if the enemy refuses to return the land of the Golan.” The following month, Sulayman Haddad, a member of the Syrian People’s Assembly, declared that “Israel understands only the language of resistance, and therefore it must understand that the bitter experience it suffered with the Lebanese resistance is liable to be repeated on the Golan Heights front if Israel continues its occupation of the Golan. It must understand,” he added, “that we will do this, not because we love war, but because Israel is pushing us to the wall.” Then, on December 7, 2006, Syrian deputy foreign minister Faysal al-Miqdad declared in a speech to students at the University of Aleppo that “it must be understood that the patience of the Syrian people is running out” with regard to Israeli possession of the Golan. Syrian officials transmitted the same message to Arab and foreign journalists in Damascus. Syrian vice president Faruq al-Shar’a told the BBC, “Syria will do everything in its power to return the Golan Heights to its hands although it prefers to do this by means of negotiations for peace.” On July 13, 2007, the Qatari newspaper Al-Watan reported, “Syria has learned the lesson of the Lebanon war, so that if the peace negotiations with Israel are not renewed, then Syria will turn to adopt the option of resistance.” Senior Syrian officials told The New York Sun that Syria might establish a guerrilla organization to attack Israeli towns on the Golan and might rocket Israel Defense Forces positions there. Such talk prepared Syrian public opinion for the possibility of confrontation with Israel. Indeed, on June 26, 2006, during a ceremony commemorating the 1974 return of the border town of Qunaytra seized during the previous year’s war, Syrian officials announced the establishment of the Popular Resistance Committees for the Liberation of the Golan Heights. Media reports in Israel mentioned these committees in connection to several incidents, such as setting fires and blocking roads in the Golan. It is doubtful that these committees have any connection to events, however, and appear to be little more than storefronts in Damascus for issuing propaganda communiqués. Both the Syrian and Israeli militaries, meanwhile, readied for the possibility of renewed conflict with fortifications, rearmament, and robust training exercises. With tensions so high, Israeli as well as Western analysts and journalists worried that any small incident might ignite a war. What if a Syrian-supported terrorist group staged an attack in Israel, assuming that the Jewish state would not retaliate as it had in Lebanon because of Syrian missile deterrence? It was just such a flawed assumption that led Hezbollah Secretary-General Hassan Nasrallah to order his men to kidnap two Israeli soldiers in July 12, 2006, sparking that summer’s war. Until 2006, Israeli strategists calculated that they had room to maneuver against Syria. Israeli warplanes had buzzed Assad’s palace twice, in August 2003 and June 2006, in response to actions by Syrian-backed terrorists. In October 2003, IAF planes attacked a deserted Palestinian training camp at ‘Ayn al-Sahab, 6 kilometers northwest of Damascus, after Palestinian Islamic Jihad, headquartered in Damascus, killed twenty-two Israeli civilians at the Maxim restaurant in Haifa. Israeli officials would not have conducted such operations had they believed a hot war would result. The 2006 Israel-Hezbollah war suggested that neither state had significant room to maneuver—that amid bellicose rhetoric, any spark might lead to conflagration. But, as Amos Yadlin, head of the Israel Defense Forces’ Directorate of Military Intelligence, commented, the September 2007 raid restored Israeli deterrence vis-à-vis Syria. The Syrians could not have failed to notice the lack of international support for Syria. Even more problematic for Damascus was the lack of any Arab support, let alone solidarity. Every Arab country, without exception, chose to ignore the Israeli operation. The only leader Assad called after the attack was Turkish prime minister Recep Tayyip Erdoğan, whereas the Israeli prime minister contacted Egyptian president Hosni Mubarak and Jordan’s King Abdullah II to discuss the incident. It is plausible, though, that Assad had changed his mind. For more than three decades, Damascus and Pyongyang have enjoyed intimate relations. It was North Korea that, following the Soviet lead, supplied Syria with advanced missiles and, later, with technology to enable Syria to improve significantly its arsenal of long-range ground-to-ground missiles. The experience of both North Korea and Libya shows that small, backward states can procure nuclear arms if they set that objective as a top priority. Perhaps the only reason Libya is not a nuclear state today is because Libyan strongman Mu’ammar Qadhafi believed the U.S. military might launch a preemptive strike on his regime. Committed by its own diplomacy to cease nuclear work at Yongbyon, the North Korean regime may have looked favorably upon the opportunity to simply outsource its research and development. Assad may also have decided that he wished to gain the immunity that nuclear weapons provide to any regime holding them. U.S. forces ousted Saddam Hussein’s regime in Iraq but offered concessions to North Korea in the face of the Hermit Kingdom’s nuclear defiance. Assad may feel his regime faces regional if not international threats to its stability to which nuclear weapons could be an antidote. He may have alluded to this in the wake of the Israel-Hezbollah war when on August 15, 2006, he declared, “When we strengthen the resistance, our aim is to achieve peace, and not to advance war. The way to advance peace is by means of deterrent power that will enable us to prevent aggression against us.” He later told the German magazine Der Spiegel, “As far as I myself am concerned, I do not believe in war. But I do believe in deterrence, that is, in the principle of deterrence.” Such a policy would be a natural continuance of his father’s attempts to achieve strategic balance between Israel and the Arab states. While Hafez al-Assad may have conceived this balance in terms of conventional military strength, by the beginning of the 1990s, he had adjusted his strategy to achieve parity based on a balance of terror—that is, Damascus strived to equip itself with unconventional weapons, such as chemical weapons. As time passed, it became clear that Bashar al-Assad had no interest in a flare up, let alone war. The Syrian leader told the BBC, “When we say to respond or to repay [Israel for its aggression], we do not necessarily mean to send a missile for every missile or a bomb for every bomb. We have our own ways of responding, for example, a political response, or perhaps a response by other means and in other ways. It is clear that it is our right to respond, but if we respond militarily, then we will be acting in accord with the Israeli agenda, which we are not interested in doing.” Seldom do Arab statesmen forget slights; it is possible that Assad will seek to attribute a future transgression to revenge. The September 2007 IAF raid may well be the most formative event of recent years in Israeli-Syrian relations. Jerusalem surprised Assad and compelled him to recognize that the Israel-Hezbollah war had not changed the strategic balance as much as he believed. Not only had Israeli forces reached deep into Syria, but Jerusalem had also won diplomatically by focusing international attention on Syrian nuclear intentions. First, exposure of his nuclear adventurism cancelled any plaudits Assad had won for maturity and judgment; second, the raid exposed Assad’s posturing to be false, not only for his domestic Syrian constituency but also for Arab and Islamic states. Quite a few Israeli observers have claimed that one of the results—even if indirect—of the IAF attack in September was Syria’s decision to participate in the Annapolis peace conference in November 2007. Still, the dynamic between Syria and Israel remains negative. In the absence of any genuine prospects for a peace process, and despite the temporary relaxation of tensions between the two countries, it would seem that their relations will continue to be marked by accumulating tension, military preparations, and forecasts of war—if not in the spring, then in the summer, and if not in 2008, then in 2009. The US did the right thing by not interfering in Lebanon, After the 2006 war that Israel lost against Hezbollah there was no chance for the US to have an adventure in Lebanon , after 2 billion dollars of Saudi money and training from the Jordanians M14 lost to Hezbollah in 12 hours which was clear to the US that they bet on the wrong horse and that Lebanon is lost to Hezbollah and Syria and the US should try to salvage what it can and not what it wants. After that the whole world opened to Syria through France and with the approval of the US and Israel to the desmay of the KSA and Egypt. As for the discussion above, the point (sorry, i got carried away writing) was that I generally see Hizbullah as the dominating force in recent events, regardless of the morality of it. Ever since the war with the zionists and the government’s capitulation to American demands in terms of SC resolutions, Hizbullah had the upper hand the domestically. They have always had the power to overthrow the government, and they have clearly had the grievances against the government to justify action (to themselves). Too, government intransigence seemed to be fed externally, which was never going to be sustainable. My point is, even though there is a lot of truth in what you said, the government was the reactionary force and Hizbullah was the agent for change. Given that, it seems natural to view the situation from Hizbullah’s perspective as Landis did. Additionally, Landis did an important thing by making the argument he did. By doing so he was not necessarily advocating Hizbullah or it’s actions, but pointing out the hole in the perspective of a major article in a major American newspaper. The article was clearly pathetic in terms of defining the terms of the debate. Landis did a good job of exposing that. Why do people post entire articles??????? Can you people just post the key points and then provide a link? 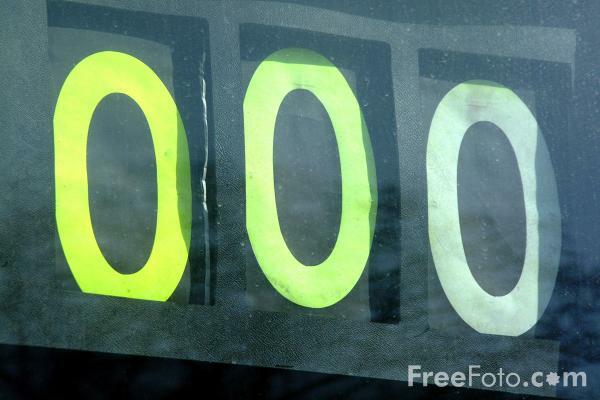 It makes this blog much easier to read when/if people keep it clean. This is interesting, looks like a group of Syrian academicians (including Sami Mubayyad) and a number public policy experts headed by the legal affairs advisor at the ministry of foreign affairs is visiting in Washington D.C. It seems that they are expected to meet up with a number of officials in the state department. There is no favor there. Daoudi works with Foreign ministry. It is part of his job. Taki and Moubayed both like to play this role. While in Washington, they will also take part in a Syria event at one of the Think Tanks in DC. Well Understood, it’s just better than sending the likes of Asef Shawkat. If there is an intellectual argument that can make the case for Syria then I am all for it. I prefer such approach (especially with the US) over the usual terror tactics. Sounds Fishy Alex! Whats behind the polish and refined PR of the Government lately? What have you been up to? Care to tell? I vote for Landis’s arguments, but also for Enlightened intriguing points. I agree that western pressure, american pressure has a great deal to do with M14 holding out and not compromising. I don’t really see how the assassinations and war in Nahr elBared has much to do with influencing M14 leader to not compromise. Although there was a lot of finger pointing and blaming of Syria going on, it wasn’t as if anyone blamed Hezballah for those events. And even if Syria supports HA, this doesn’t seem to me the source of the refusal to give in to HA demands. Also, I think the longer they waited the more people might get assassinated not less, and the more chaos potential in the country not less. I think M14 just was hoping that the tide was going to turn back in their direction and they were getting poked by the US not to cave. But when finally there was no president for half a year almost, this was presenting an untenable situation. So they took a risk, looking out on those carriers off the coast, and lost. It was not me who arranged all of that. I am not working again until they pay it. ** I’m joking, for those who are not sure. Correction; :thats $225 an hour! For those that need to know! Alex on a side note: Just a quick question that got me a little confused during the World Youth week celebrations here in sydney last week. Cardinal Sfeir as you know was here in Sydney last week, one of my friends showed me a article, in one of his titles it read “Bishop of Antioch”. This had me a little confused and curious, is there a separate Bishop for Antioch ( ie Orthodox? ), I was always under the impression that the seat of Antioch is a Orthodox “seat” or realm, have i been mislead? maybe he is the Bishop for the Eastern Catholic Church also in Antioch, well not just Antioch but for the See of the whole Levant. I think that the term Antioch refers to the whole area of the Levant. The syrian Melchites used to have the seat of the bishop of Antioch residing in Damascus at earlier times. And I think when this church split into Greek Catholics and Greek Orthodox churches they probably both had bishops of ‘Antioch’, so maybe the Maronites do too! It doesn’t mean they are actually in Antioch but the See of Antioch in opposition to Istanbul. that last part of what i wrote is not very helpful. If you consult Salibi, you can read the whole complicated story that is almost impossible to follow. Those Maronites began at some point appointing their own Patriarch to the See of Antioch. they weren’t supposed to do that and the Roman popes wouldn’t recognize the succession of patriarchs to the See of Antioch cause they were not accepting of the Maronites as part of the real Catholic church at that time – 600s 700s? AD. but the Maronites did it anyway. And they thought they were in union with Rome, but they weren’t actually for a long time (except for a brief moment during the Crusades) until in the late 1400s when they started to come into favor with the Roman Catholic Church. And from that point, they had recognized Patriarchs of Antioch too. My two cents support QN and Enlightened point of view. While i understand that Josh’s analysis was more big picture it did however unfairly forget a key point that pushed March 14 and their LEADERS (hint hint Alex) to go as far as they went (excluding that idiot Jumblatt who was just a circus monkey in a suit) and that’s the assassinations. I think we all, including QN & co, believe M14 over played their cards and just didn’t know when to stop thinking like selfish kids and start thinking like responsible leaders. But what made them take that first step toward that direction is not entirely their fault. I might not agree with most M14 leader’s points of view or actions but i understand and sympathies with them. Ever wonder how anyone of us would have reacted if we “believed” a certain government killed our fathers and leader?. Ok. what am i missing here in this logic. Why exactly does delaying a political compromise stop assassinations? The point is that, from March 14th’s perspective, Syria was sending the message that it was simply not going to lose in Lebanon. It was going to use any and all means necessary to re-establish control — maybe not as much as it had before, but certainly enough to torpedo the Tribunal and the Lebanese govt’s compliance with any UNSC resolution that threatened Hizbullah. These “means” included assassinations of March 14 MPs, etc. I’m not saying that I think Syria was behind them all, but you can bet that March 14 did, and they did not want to give in. This question takes for granted several things. First, it characterizes the blocking third as a “political compromise”, which makes it seem like it was no big deal. There are compromises and there are compromises. Granting the veto to Hizbullah at the time that they were demanding it could have been politically very damaging for March 14. It could have been used to veto key appointments and to stall the Tribunal. This was an unacceptable risk to take, given what they saw as Syria’s ultimate goal vis-a-vis Lebanon. It was also constitutionally completely unnecessary: they had no legal reason compelling them to grant a veto. This sounds like you are advocating the rule of force instead of the rule of law. I don’t get it. As I’ve written here before, I have a lot of hopeful optimism for a political future with Hizbullah actively participating in it. But I regard the 18 months between November 2006 and May 2008 as a dark chapter. My point is, even though there is a lot of truth in what you said, the government was the reactionary force and Hizbullah was the agent for change. Given that, it seems natural to view the situation from Hizbullah’s perspective as Landis did. I’m fine with viewing the situation from Hizbullah’s perspective, but if we’re going to do that, we should be clear about what it constituted, which was nothing less than a coup. Now, it wasn’t the kind of military coup that we are accustomed to seeing in the Middle East and Latin America. But that’s only because Hizbullah’s leadership is extremely smart. Storming the Serail would have been a colossal mistake. Just as Jumblatt gave Hizbullah the perfect opportunity to move into West Beirut, a Hizbullah assault on the Lebanese Parliament would have certainly given the U.S. a perfect opportunity to put boots on the ground and rally international support against Hizbullah, Syria, etc. Sayyed Hasan is far more intelligent than that. Am I happy that the ordeal is over? Yes. Does that mean that I’m happy about what Hizbullah did? No. The might-makes-right logic puts you on a very slippery slope. Now, don’t all pile on me, pointing out the flaws in this analogy! I’m just trying to make a simple point: the logic of might-makes-right and ends-justify-means are the staples of heavy handed imperialist projects. We need to be fair in our analysis. They are therefore quite helpless against Hizballah and Syria. The lack of success of M14 is not because America is a bad ally. Quite right. America, unfortunately, can’t free the whole world. Therefore the US will pick-and-choose according to their own interests. By conducting regime change in Iraq, the US also puts pressure on Syria and Iran just by virtue of the geographic location. This has helped Lebanon and the region indirectly. The War in Iraq had a direct influence in getting Kadafi to open his extensive WMD program. It also provided enough cover and optimism to get the Lebanese to kick Syria out Lebanon. Other successes: The Talbian is out of Afghanistan and al-Queda is out of both Afghanistan and Iraq. Lastly, world terrorism has decreased substantially. This should help McCain in his election campaign. I agree with many points of your analysis, but I respectfully disagree on the basis. Let me explain. You say (and I am paraphrasing, so correct me if i am wrong) that M14 compromised with HA by giving them the one third veto in government. You also say that HA did some sort of a coup (although not in the classical sense) in order to get it, after astutely waiting for the opportunity when it presented itself (again, I am paraphrasing). Then, when HA dropped out of the government (let’s leave out the motives and reasons), the latter should have been declared defunct since no shia was represented. According to the constitution, every religion must be represented in government. Furthermore, the government did not vote on the budget (a constitutional requirement) for 3 successive years, thus breaching another article of the constitution. And, by signing international treaties (SC resolutions) and receiving foreign representatives, it breached one more time the constitution because these are the prerogatives of the president. If his signature is not on international treaties, then no treaty can be accepted. Of course, M14 argued that Lahoud was their political ‘enemy’, but that’s not the point I am making here. For all the above reasons, it is my opinion that M14 made a coup (not in the classical sense of course) against the constitution and the Republic, and behaved in an arrogant way by ignoring the Lebanese constitution whenever it fitted them. That was their M14’s biggest mistake and miscalculation. Of course, it was counting on the US support, but that’s not the point here. All along, the opposition was demanding its rightful representation, and not anything more nor less. This might be considered a compromise from the perpective of how the government was set up in 2005, but not in its legal and constitutional sense. Let me, also respectfully, disagree with aspects of your argument. As you recall, when the 2005 cabinet was formed, Hizbullah only decided to participate in it to the tune of one or two ministers. This was their choice. Aoun, also, refused to join the Cabinet, because he wasn’t going to get the Justice Ministry. I can send you all of the relevant news stories from that period which say exactly that. Saad Hariri did not want a Justice Minister from any political movement besides Future, because he was worried that such a minister would hamper the U.N. investigation into the Hariri murder. (Actually, probably the real reason that he didn’t want a Aounist Justice Minister was because Aoun had been so vocal about coming back to Lebanon, “opening all of the books”, and prosecuting the corrupt politicians. This would have been bad for everyone, from Hariri to Berri.) In the end, Saniora compromised and chose a pro-Lahoud minister, Charles Rizk, who ended up giving his support to the tribunal anyway. As for the representation within the Cabinet after the Shi`a ministers walked out, I don’t think it is as straightforward as you make it sound. Yes, the Constitution demands representation by all sects, but Saniora could have theoretically appointed 6 Shi`a ministers from March 14. Obviously, they would have no mandate, which is why he didn’t do it. But it did not constitute a “coup”. I’m not sure about the other issues you raise. I am not a constitutional expert, so I’m not going to try to argue with you, but I imagine that the issues are not cut and dry. At the end of the day, there are two possible lessons that might emerge from this whole ordeal. 1) The lesson that political parties in Lebanon must take elections seriously and participate in government to the fullest extent that they can, and use their political weight to challenge decisions by forming alliances and, if necessary, legitimately bringing down the government and forcing constitutionally sanctioned parliamentary elections, etc. 2) The lesson that government institutions, elections, cabinet lineups, etc. don’t really matter, because at the end of the day what is most important is the ability to outmuscle your opponents in the street. I hope, for obvious reasons, that the first lesson will be the one that we will learn. First, he highlights how Jumblatt was wrong and unrealistic in assuming that America would somehow come to M14th defense militarily. The U.S. never articulated how it would “help”. M14th did not seem to push the point to find out. The lack of specificity on this critical subject left some people within M14 to feel that Lebanon was now another Israel, Jordan or KSA. It was simply not possible for Syria or HA to use their military might any longer for fear of the new “protection” that Lebanon has now gained thanks to repeated assurances from the U.S. that they will stand by them and will not allow members of the axis of evil to win and take back Lebanon. The argument that was offered in his comment was that M14 ought to be willing to die. They cannot be spineless and expect America to fight on their behalf. The fault, therefore, lies not in America as an ally but in March 14th as a credible counterparty in this alliance. In truth, the U.S. failed to match her words with deed. Knowing the military power of HA, it simply failed to arm its allies before pumping them up and pushing them to take on the Hizb. It did, in effect, give the impression that Lebanon’s security was now outsourced to her and that it will honor that quasi commitment. It is precisely this vague “we-support-Lebanon” mantra that caused M14th to overestimate the force behind their backs. Dr. Landis’s second point seems to center around the argument that while M14th refused to compromise, HA and its allies were willing and eager to do so. As much as I agree with his first point, I don’t find myself in agreement with the second theory above. When Syria was forced to leave Lebanon, the conventional thinking was that it had cut and run and that it had lost Lebanon forever. The leadership in Damascus knew full well that they still had their trump card in HA. When it hinted of compromise and accommodation, it calculated correctly that the other party would not take part. Compromise from weakness was never a strategy Damascus or HA liked. March 14th was sooner or later going to slip and push too far and once it did it was time to pounce and use the trump card with devastating effect. America lost in Lebanon because its policy there is vague and lacks teeth. The world knows that it is bogged down in both Iraq and Afghanistan. Yet, March 14th went about their business overly confident with that “we-will-support-Lebanon” line from Washington. That may have worked when the U.S. toppled Saddam and was thought to score a devastating and easy victory. Damascus could have been next the thinking went. But, as the U.S army realized that it was stretched and was stuck in the quagmires of Iraq and Afghanistan, March 14th continued with their misguided notion that the U.S. promise of help had teeth and conviction. I certainly recall that Aoun wanted to get the Justice ministry. And I agree with your argument on this issue. But, this does not explain that the Siniora government did not do its job to make all political and religious groupings represented equally in government. As for replacing the resigned HA & Amal ministers by other Shia, that would not have solved the problem. Not only must all sects be represented, but also all major political groups. That is Lebanon’s system of consociational democracy. Yet, I agree with you that it is not a cut and dry issue. Furthermore, on the voting of the budget (article 32) and the signing of the international treaties and decrees (article 52), I can agree with you that it is not cut and dry because article 62 of the constitution states: “En cas de vacance de la présidence de la République, pour quelque raison que ce soit, le pouvoir exécutif est exercé, à titre intérimaire par le Conseil des ministres” (sorry for the French). But, as Ziad Baroud analyzed it, in this case the government should conduct routine (day-to-day) tasks and not deal with important matters of state until a new president is reelected, so as not to disturb the consociational peace. I also forgot about another infringement of the constitution. When the government dissolved the constitutional council (which was discussing a new electoral law, and also investigating fraud charges of 10 parliamentary seats during the 2005 elections), it did not reappoint a new council. This is a grave violation of the constitution. The Council is the sole guarantor of the Constitution. To this day, Lebanon does not have a Constitutional Council. Finally, I agree with you that your lesson #1 should be the one that everyone must learn. Good points. You’re right about the Constitutional Court; that was a travesty. I think we agree that the situation was very complicated, and blame falls on all sides. The next election will be very interesting. Something tells me that Hizbullah is going to take a lot more than 14 seats it took in 2005. I don’t know how well the FPM will do… maybe very well, since their service ministers Gebran Bassil and Alain Tabourian are already making waves with popular blue-sky thinking. I am looking forward to a period where there are no more excuses and disputes are settled at the ballot box. Let the best man (and woman, if we enact the Boutros Commission proposals) win. All I can add at this point is that you are giving M14 leaders too much credit. Let’s compare Junblatt and Geagea on one hand with “Alex” on the other hand… tell me if it is possible to beleive that Alex read the signals right, but the two experienced M14 leaders did not. Something is not right. The investigation is looking at “evidence” which sounded too good to be true … like the meeting of the heads of the four Lebanese security organizations in some apartment where everyone could see them in an easily incriminating way. Then when the first Mehlis report was out, “Alex” absolutely lost all trust in the investigation because Mehlis suggested that Asef and Maher personally carried the bomb and gave it, and the van, to the assassin. How stupid does one need to be to believe those claims?? Well … ALL of the M14 LEADERS decided to believe them. Some of them are semi-stupid, I understand. But … some are very capable, and very close to the investigation … and quite experienced with the Syrian regime (Asef), their own security heads, and with assassinations … they MUST have known that Mehlis was fabricating evidence… like “Alex” knew and argued since 2005. Did all of you chose to forget that some M14 leaders paid Al-Siddiq to lie and to incriminate Syria? Therefore … my friend IC, I disagree with your analysis that because of the assassinations, M14 were pushed to a corner. M14’s leaders (not all, but the real powers among them) are war lords who lived easily through the time of the civil war when over a hundred thousand Lebanese were killed. And … how can they believe what Syria SURELY was behind ALL the assassinations… and to build all their decisions based on that dangerous belief. You are giving them too much credit. Some of them most likely took part in fabricating evidence. Others wanted to believe that Syria is behind all evil in the Middle East. In both cases … I can’t find many good things to say about them. no, i am not advocating force at all. i was not offering a judgment about that, just saying that pragmatically speaking it wasn’t really logical to think that just sitting in stalemate was going to fix the problem or stop violence. And the idea that M14 wasn’t going to give in to HA political demands because they didn’t want to reward Syria’s supposed actions of force by giving more power to Syria’s supposed proxy is not about logic but about emotions and power plays. I have a problem with the equating of Hezbollah interests with Syrian interests, or HA force with Syrian force, or supposed Syrian assassinations with HA violence. Actually, I don’t think the narratives going on here and the different accounts are that different or divergent. We all sort of know what happened, but the assignment of blame for it shifts depending on what reality one believes in about the aspects that nobody knows, like who killed Hariri and who was committing the assassinations and for what purpose, and even who is ultimately responsible for the militants in Nahr el Bared. Depending on one’s construction of what is behind all that- blame and interpretations of the motivations of the actors shifts. If one assumes that Syria was carrying out the assassinations then it is more understandable to argue that they (M14) were resisting giving in to pressure that has the backing of Syria. But if one doesn’t assume or accept that Syria is behind all violence or if one draws more of a distinction between HA objectives and Syria’s objectives as not being equivalent (but merely including mutually beneficial interests) then one also doesn’t naturally give weight to explaining M14 actions/attitudes based on their anger or resentments about the assassinations or their belief that it is wrong to give in to the opposition forces exacting might makes right. I don’t think your (QN) substitution exercise replacing Israel for HA in the above paragraph works at all … because we are not talking about two separate states at war, but rather a civil conflict within one nation. There are outside interests at play for sure, but Israeli preemptive waring is not the same as HA taking actions regarding their status inside their own country. Um, i guess i didn’t like the analogy, right. Finally, regarding the assassination issue, and also your comment about how Hezbollah didn’t want to have equal participation in the government back only to 2005 even. Well why did they change? Aren’t you also presenting this account of HA changing course from not caring to be more equal participants in the gov’t to suddenly wanting to, as if this shift occurred in a ‘vacuum’? . I am not so sure. But if this is a dramatic shift, then it too must be seen in light of subsequent events and the shifting situation. You and then IC make a lot of assassinations to explain M14’s entrenched stance. Well, consider what happened in summer 2006 to Hezbollah. I think its a bigger deal than assassinations that Israel was given enough leeway to inflict a lot of human and structural damage with the US stalling an international cease fire. Talk about making an impression, I think this experience, despite the claims that HA ‘won’, is enough that they would start thinking about gaining more political power in their own government such that they are not only fighting Israel and/US on a battle front but politically too. This also had come while the tribunal issue was being pushed forward with the deliberate aim of indicting Syria, HA lifeline. If one is going to equate Syria with HA , then it cannot be too much to equate Israel with the USA. And since 2005 (and well, since the beginning of the eighties in some sense) the US has been actively trying to influence the lebanese gov’t do its bidding, so if this is a critique one can make about the intimate relationship of HA to Syria and justify M14 taking its attitude, then I think it can be flipped around to justify HA taking its attitude of not trusting its own gov’t not to be in bed with the United States. Really, I think in both cases the equivalence is a mistake, and HA and Syria are more separate than is given credit, and as well, the Lebanese ruling gov’t is not (obviously)ruled by the US. Thanks for your detailed response. I will mull it over, but in the meantime, I do want to say that I agree with this statement of yours, which is important for people to keep in mind when discussing these issues. We all sort of know what happened, but the assignment of blame for it shifts depending on what reality one believes in about the aspects that nobody knows, like who killed Hariri and who was committing the assassinations and for what purpose, and even who is ultimately responsible for the militants in Nahr el Bared. Depending on one’s construction of what is behind all that- blame and interpretations of the motivations of the actors shifts. Suleiman was not allowed to be elected unless that article in question be amended. I am worried that none of the political parties lifted an eyebrow. Although I understand the urgent and complicated circumstances, I hope that this example will not be repeated in the future. Why in your opinion did he travel to Jordan and not Syria. Does this have any significance? After the election another story. 1) Obama does not want to take risks for now. Visiting Syria would be quite controversial. The republicans can use it against him by suggesting that he is interfering in US foreign policy. 2) IF elected, he will still negotiate before visiting or before inviting Bashar to Washington. Obama will not drop all demands. But he probably will manage to find an agreement with the Syrians that leads to good relations. His aids already started the process and it is looking good so far. John Kerry, who talked with the Syrians, might be there somewhere in an Obama administration. By the way … I find it funny that everyone assumes that when relations will improve, it will be the American president who will visit Damascus, and not President Assad who will have to travel to Washington. I think it is because Hafez Assad never visited Washington. It was Nixon, Carter, Bush sr., Clinton who traveled to see him. They come for the same reason that Paul came to Damascus, To see the light and have a place in Heaven. The truth is that Mar14ers were pushed to believe that certain neighboring country was behind the assinations, and not necessarly truly believed. If anyone has any slim evidence implacating Syria, European leaders would not be making rapprochment with Syria, or better yet, George Bush would have definitly used it against Syria before he leaves office soon, as simple as that. WASHINGTON (AFP)–A key official in a Syrian delegation scheduled to attend a private forum and possibly meet with U.S. officials in rare talks this week has canceled his trip, officials said Tuesday. Riad Daoudi, Syrian lead negotiator with Israeli officials in Turkey and legal adviser to the Syrian foreign ministry, had been asked at the last minute to remain in Damascus for talks with a visiting Turkish delegation, sources said. “Based on our information, Mr. Daoudi did not make the trip to Washington,” Syrian embassy spokesman Ahmed Salkini told AFP. He didn’t provide details. But Ahmad Samir al-Taki, a consultant to the Syrian prime minister and director of the Orient Center for International Studies in Damascus, together with two others will attend the forum “Engaging Syria: new negotiations, old challenges” at Washington-based Brookings Institution on Wednesday. Their visit is sponsored by Search for Common Ground, an international non- governmental organization, headquartered in Washington and Brussels, which had sought a meeting for them with the State Department. How nice!!! None of the “experts” and “analysits” above had come forward to say: “OK, I was wrong”. Now that they were proven wronger than wrong, they take it in their usual stride and move on to argue and raise new explanations and expectations, but not a word of regret or an addmission of …..anything! Keep pouring on your “expert” opinions expert guys! Let us see where that will get us…. Couric: If they reject negotiating– if they reject negotiations, how likely do you think a preemptive military strike by Israel against Iran may be? Obama: I– I will not hypothesize on that. I think– Israel has a right to defend itself. But I will not speculate on– the– the difficult judgment that they would have to make– in a whole host of possible scenarios. Couric: This is not a speculative question then. Was it appropriate, in your view, for Israel to take out that suspected Syrian nuclear site last year? Obama: Yes. I think that there was sufficient evidence that they were developing– a site using a nuclear– or using a– a blueprint that was similar to the North Korean model. There was some concern as to what the rationale for that site would be. And, again, ultimately, I think these are decisions that the Israelis have to make. But– you know, the Israelis live in a very tough neighborhood where– a lot of folks– publicly– proclaim Israel as an enemy and then act on those proclamations. And– I think that– you know, it– it’s important for– for me not to– you know, engage in speculation on what steps they need to take. What I can do is to provide leadership– so that the United States government hopefully doesn’t get us into a position where– those decisions are so difficult. That’s why applying tough diplomacy, direct diplomacy, and tough sanctions– where necessary is so important. It seems to me M14 had a “bunker” mentality and felt themselves under threat because of the assassinations. In such circumstances people are generally less willing to make compromises because to do so would be seen as weakness and cowardice, especially for politicians who have constituents to appease. Consider the reverse case and suppose leaders of HA and it’s allies were getting killed. Would that threat induce HA to compromise? Doubtful in my view. With regard to US support to M14, there was absolutely no way the US would have intervened militarily to back M14 up. If M14 really believed that the US would intervene militarily, then they are dumber than even their harshest critics claim. My sense is that M14 and the western powers simply didn’t consider the possibility that HA would take a limited military action. They probably believed that HA only had two choices – a full-on coup or no action. So rather than convoluted theories, it seems to me the most likely is simple miscalculation. Lastly, I’m surprised this conspiracy theory I thought of has not come up here. I don’t believe it, but it’s interesting regardless: Suppose the US was goading M14 into a confrontation hoping that HA would react – or overreact. Perhaps the US, knowing how weak M14 was militarily, was counting on a “hard” coup by HA, not the limited operation HA actually conducted. Perhaps the US wanted blood in the streets to prove that HA is a heartless terrorist group under the control of Iran. That’s an interesting conspiracy theory… but I prefer to rely on comprehensive analysis and constructive arguments. Over time, if a conspiracy theory is indeed true, it will be leaked out some way or another… especially in the US where no secret lasts very long (as Chomsky always says). I agree with your reading. Not with the conspiracy theory, the other bits. As I said, I don’t believe the conspiracy theory either, but I just thought I’d throw it out there regardless. I am going to talk for myself only about some of these hot-button issues. 1) Reforming Hezbollah, is it possible? Disarming HA would be a huge mistake. Its military/intelligence/training capabilities are much more advanced than that of the Army. Therefore, I believe Lebanon should learn and build upon HA’s experience in military warfare (and in discipline, organization and efficiency). Integrating HA’s weapons into a national defense strategy would be ideal. Whether this means HA fighters being a distinct special forces within the Army, or the Army and HA sharing and fusing their ranks, I don’t know nor mind. Disarming HA would be a huge loss for Lebanon in terms of military defense warfare. It makes no sense to me to have tensed relations with Syria, mainly because most of our exports (and imports) depend on it. I believe that, since the full withdrawal of Syrian troops, we can solve all the remaining litigious dossiers by diplomatic means. The first step would be to exchange embassies, then to open up the various dossiers. Maybe by signing some economical partnership treaty would help accelerate these dossiers (similar to US-Canada relations, French-German, Argentine-Brazilian, …), but I am not the expert on that. With regards to people saying that Syria still has influence in Lebanon because its intelligence apparatus is still entrenched, one may say the same thing about Israeli, American, Saudi, Jordanian, French, Egyptian or other intelligence infiltration (such is the case in every country). I don’t believe that meddling into Syria’s internal politics, nor confronting Syria, is favourable option for Lebanon’s development. Without going into details, I will simply state what Edward Said always tried to remind us, mainly that peace in the Middle East (not the kind of superficial Egyptian and Jordanian peace) will only come when the Palestinian issue is resolved. However, Lebanon can be an actor in solving the Israel-Palestine issue. Although I am not a supporter of the FPM, I think that Lebanon should build upon the Memorandum of Understanding between the FPM and HA, especially with regards to article 10. Liberating the Shebaa farms, freeing all Lebanese from Israeli jails (that’s done), and creating a national defense strategy will certainly position Lebanon as a catalyst to a global and comprehensive peace. This is one of the biggest tragedies of Lebanon. Successive governments have utterly failed to address the issue of the palestinian refugees in Lebanon. That is one of the reasons for the proliferation of extremist entities like Fatah al Islam, Takfir wal hijra, Jund al Sham, … Although I believe that palestinians must keep their Right of Return, they should also be given IDs and work permits, as well as rights to buy lands (or at least to rent anywhere in Lebanon), and to participate in the social/healthcare system. This is clearly feasible and realistic. Yet, the only thing I would not agree with is to give them the right to vote in Lebanon, because that would strip them of their Right of Return. Did I miss any hot-button issue? I’d like to say that Gary Gambill’s articles on mideastmonitor.org and Bassel Salloukh’s occasional articles (he’s the son of For.Aff. minister Fawzi Salloukh, an LAU professor, and a very close friend of mine), as well as George Corm’s various analyses and recently Joshua Landis’s comments, are very representative of my thoughts. Did I forget Uri Avnery’s weekly sunday articles, and Karim & Saree Makdisi’s too? Regardless of the shape or form of the regime in Damascus, Syria will ALWAYS strive to have a level of influence in Lebanon equal to or greater than the political influence of any other regional or external country. In other words, Syria’s influence in Lebanon will match or exceed the influence exercised either by Israel, Saudi, US, France, Iran, etc. For Syria, regardless of who is in control in Damascus, it is not about Lebanon, it’s a matter of Syrian national security. The External powers will always strive to increase their influence in Lebanon not just for increasing control in this country, but geopolitically, it has been always a matter of exploiting Lebanon to undermine Syria as well. For Lebanon to reduce Syria’s influence, it has to get rid of (or try to minimize) all others. With the current political structure in Lebanon that invites external influence by design from multiple players, this is a very tough objective to achieve. Lebanon’s best bet to reduce Syria’s influence is to establish a strong secular state that is perceived as representative by the overwhelming majority of Lebanese AND one that is perceived by Syria as a friendly one. This could reduce the influence of all external powers in Lebanon, including the Syrian one. As long as the rulers of Damascus see the influence of another county grow in Lebanon they will be forced to increase their own. It is both a matter of regime survival for non-democratic regimes in Syria as well as a Syrian national security imperative for any democratic or non-democratic Syrian governments alike. Excellent comment! I am personally in agreement with 90% of what you said. The final hot-button issue which you avoided, however, is which bakery in Lebanon makes the best mana2eesh. I understand, it’s very controversial, so you can skirt it if you prefer. I too am a big fan of Gary Gamill, although I haven’t read Bassel Salloukh; I’ll have to look him up. I also very much like Georges Corm, Uri Avnery, and Karim Makdisi, whom I met recently… very smart and nice fellow. Thanks for your comments. I’d be very interested if you could share the 10% with which you disagree. The best bakery in Lebanon would be my grandma’s home kitchen ;-). But I definitely enjoy the Zaatar w Zeit places. One of my favourite bakeries is located on the highway driving north from Jounieh to Tripoli. It is right after the army checkpoint in Batroun. Do you recognize it? I think it’s called BreadHouse if my memory is right. Very smart and balanced comment. It is great to have you contribute and share your thoughts here. Now you just have to adapt my plan for districts and election to two houses. No need for a chart. Syria, , will expect that Lebanon will be considerably closer to Syria than it is to any other country. If Lebanon, for any reason, is equally close to Saudi Arabia or Iran … the Syrians will feel that something is not right. The same way Canada is considerably closer to the United States and not equally close to Russia or to China. And I think Syria learned lessons from the excessive “friendship” with Lebanon in the 90’s that this time there will be no offensive posters of Syrian Presidents in Beirut Airport, no Syrian army or moukhabarat presence, no Syrian extensions to Lahhoud … mostly natural and healthy economic, cultural and family ties. And the Lebanese will feel more comfortable when they realize that Syria is seeking similar ties with Turkey (the much larger neighbor to the north) … seeking close ties with Lebanon will therefore not be seen as a reflection of Syria’s attempt to dominate its smaller neighbor. I know the bakery; actually I think they have another location in Achrafieh. My vote is along similar lines: not my grandmother’s kitchen, but my grandmother’s zaatar, which she takes to her local village wood-fired oven and spreads on the dough that the make there. Can’t beat the taste. Hopefully our new Interior Minister has ambitious plans. He is a young guy who has yet to be corrupted by the fat cats. I am optimistic. I agree with your analysis. Good comments. Good additions to the argument. Lebanon-Syria ties should be somehow similar to those of US-Canada in terms of economic and cultural relations. This should strengthen the confidence between both nations, and consequently that would facilitate some sort of Truth and Reconciliation initiative (similar in some ways to the South African example) to heal the wounds of the past. This initiative is a crucial component of the transition to full and free democracy, not only in Lebanon, but especially in Syria. I believe that any reduction in regional tensions and hostilities will have a positive effect on the speed with which the different countries in the Middle East will be able to implement political reforms. This includes, Syria, Lebanon and Israel. As for the advanced stage of this reform process, a place which is somewhat close to the ideal “democracy” … by then (10 years from now?) there is a good chance (50/50) that the people in Syria and Lebanon might decide to unite .. to some degree. Again, could be similar to the Canadian system … a federal government with two provincial governments for example. I understand that today the mere thought of “unity” between Syria and Lebanon is not politically correct. But in 10 years I am expecting (and hoping) a very different perception of this potential unity. The good thing about it is that it makes it easier for everyone to not fear the results of one-man one-vote elections. 1) In Syria, the 25% Alawites, Christians, Druze and Ismaelis fear a narrow victory by the Muslim Brotherhood which will likely (in their opinion) lead to a serious change in Syria’s mostly secular character. 2) In Lebanon, many worry that if a one-man-one-vote type of elections were held, with no guaranteed shares for Christians, sunnis, Armenians …etc, then Hizbollah and the Shia will be the most powerful winner and that they will make a coalition with a smaller party (and sect) that allows them to lead Lebanon and, again, change its current balanced structure. If you have federal election in a united Syria and Lebanon … Hizbollah will not be a threat to the Lebanese Sunnis or Christians, and the Muslim Brotherhood will be much less likely to win a majority in Syrian elections. Interesting thought you have there. Although I respectfully have a different opinion. The current world order is not to unite people/nations into one political state. The trend is to intensify economic and cultural relations between several states, such as Canada-US, North & South Korea, China & Taiwan, EU, … (one might argue that, in the case of the EU, it is building a common political ground, but I don’t see the chances of this surviving in the next few decades). Furthermore, I do not think that the majority of Lebanese (and I am one of them) are even dreaming of a unified Syria and Lebanon in the political sense. That was an old shattered vision of the SSNP in Lebanon, and is still one for many Syrians today. In my opinion, assuming that full secular democracy comes to both countries in the next few decades, I still do not believe that this will happen, nor do I see the benefits of such vision (again, on the political basis only). If you see those benefits (again, assuming that full secular and free democracy is in both Syria and Lebanon), please do share them. I realize that I sound like I am an SSNP member. I am not a fan of borders and states in general. I want the Levant to be as open as possible … I want to see people from turkey and Israel to be able to trade and travel anywhere in the area. During his visit to Lebanon Noam Chomsky said that there are “natural pairs” that he expects to start this process (“unity”) … Syria and Lebanon are the most obvious natural pair (in addition to Egypt and Sudan). I am sure you also can see a few obvious benefits from such vision. I have quite a few Lebanese friends. Most do not want to unite with Syria. But ten years is a long time … just imagine how much the Middle East changed since 1998, and keep in mind the rate of change for the next ten years is likely to be much higher than the rate of change for the past ten years. Of course I might be wrong. I am quite willing to change my mind over the next few years, depending on what I see in Syria and Lebanon,a nd the Middle East in general. But I am as strongly pro open borders as I am pro protecting the environment. I think both are naturally and obviously good. We also reached an exact assessment of your valuable help, didn’t we? Your thoughts are interesting. I will keep them in mind every time I come across articles and events on Lebanon-Syria relations, and I will keep asking myself the same questions to assess if that vision is possible. I must say that it is idealistic, but probably not impossible, yet only under very ideal conditions (free, secular, open democracy). Not that I agree to it, but simply I am acknowledging the possibility of such a union. Interesting argument, there. Could you point me to past exchanges which you’ve mentioned with Alex on this topic? I am interested in reading your strategy by which you have dismantled Alex’s arguments ;-). I think the exchange Alex is referring to was over email. OK Mr. Qifa. You are right. I guess I owe you one of these.